The last quarter of the financial year is normally full of activity with projects being finalised before the planting season draws to a close in autumn. This sometimes pose challenges with the procurement and supply of products due to many suppliers slowly returning to work after taking a break during the holiday period. This year, the process for suppliers to come into full production capacity was further aggravated by the gripping drought that posed challenging times, particularly for agricultural producers. Serious drought conditions, attributed to the El Nino and climate change phenomenon, placed a damper on the agriculture sector and severely affected production outputs in many regions . Normal assistance to the farming sector, in particular the emerging farmers, was replaced with support initiatives from suppliers and corporates who joined government departments to render support to some emerging farmers. At the end of 2015, the Department of Rural Development and Land Reform (DRDLR) started with renewed activities around the transformation of land in rural areas to designated communities. This had a direct bearing on the three farms managed by Casidra. At Anhalt (in Haarlem), it led to the establishment of the Community Property Association (CPA), which replaced the Haarlem Transformation Committee as the intermediary of the process and facilitator on behalf of the community. While the DRDLR is busy processing the registration of the CPA, a transfer programme is being finalised between the DRDLR, Casidra and the CPA. At Amalienstein, the Taking-Parliament-to-the-People Programme of the National Council of Provinces, held a follow-up meeting in the Kannaland district. The aim of the meeting in March 2016 was to follow up on the issues raised by the communities and residents during the visit in 2015. 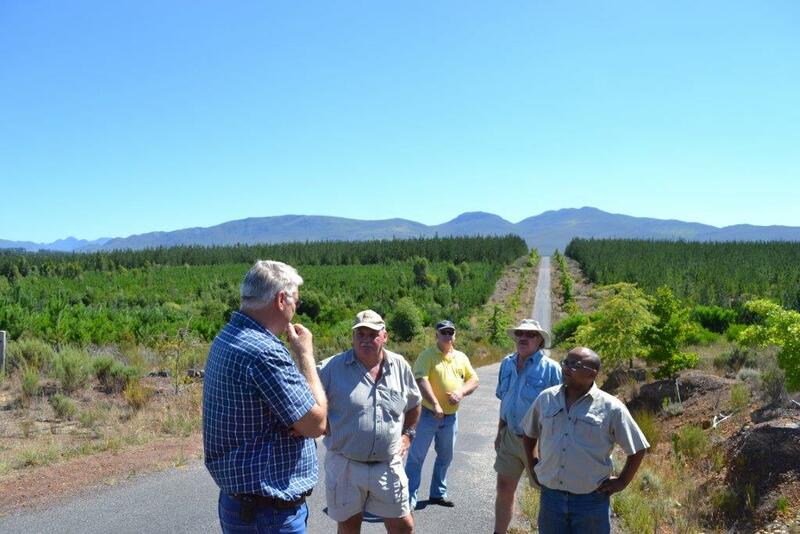 After three years, the mechanised alien clearing project, implemented for the Department of Environmental Affairs (DEA), concluded with 360 hectares of land (to date) along a 74 km stretch of the Berg River being cleared. Large areas were cleared on privately owned land and responsibility now rests on the private land owners to maintain the areas and prevent excessive re-growth of these alien plants. Casidra will again be contracted by the DEA to manage a follow-up programme to ensure the sustainability of the cleared areas. After Casidra Board approval of the recommendations emanating from the organisational restructuring review, a Placement Committee was tasked to initiate the implementation process of the new structure. The Board also approved a phased approach, for the implementation of the re-alignment of functions. Phase one implementation commenced on the 1st of April and involves the transferring of the Project Managers into a new reporting line within the Project Management Unit. Once the outcomes from Evaluate have been received, phase two will commence. It is, therefore, extremely encouraging and a feather in the cap for the Human Resources Unit that the wellbeing of Casidra’s staff is being properly looked after with implementation of new structure. HR focused on customer service and wellness training. Teambuilding was presented to staff at Head Office, Regional Office and the farms.